They exist all over the world, are among the most productive ecosystems on Earth and are home to a diverse array of wildlife. They also are essential to the global economy. They are estuaries—coastal embayments where fresh river water and salty ocean water meet. "We refer to an ecosystem's metabolism as the total metabolism of everything in an estuary—all the animals, all the plants," Nidzieko said. "It is an integrated measure of how much organic carbon is being produced or consumed in a place." Estuaries, which are important to fisheries, transportation, shipping and wastewater disposal, have largely been studied on an individual basis, he explained, but their combined impact on the ocean's carbon budget is still something of a black box. 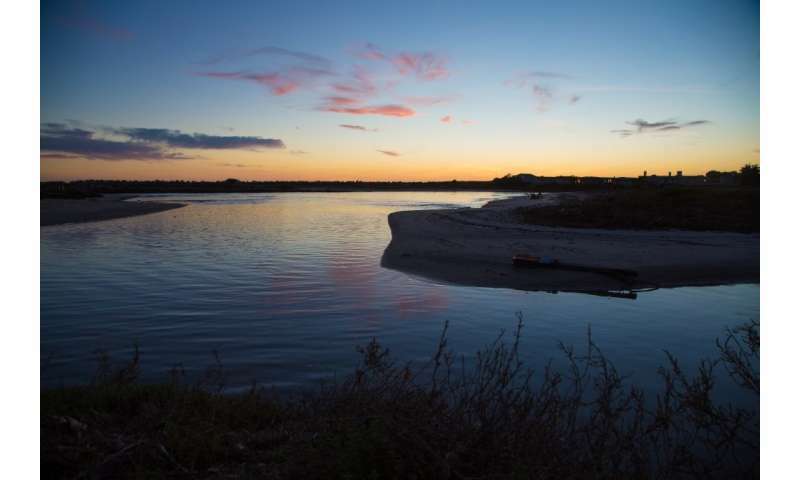 "The explanations for why the elephant has a slower metabolism than a mouse provides the same answer for why San Francisco Bay isn't quite as productive, per unit size, as Goleta Slough," Nidzieko said. "This is basically driven by the physics. This paper shows that metabolism is related to nutrient residence time—in other words, how fast nutrients move through the system." The findings may impact the way estuaries are assessed for their benefits and their place in the larger global cycling of carbon, as well as the planning that goes into the uses of these areas. Factoring size and depth into the calculations of an estuary's productivity may also allow scientists to look back into what may have been lost as a result of incursion into coastal wetlands—historically been targets of development—such as the San Francisco Bay, ports and harbors around the world, and wastewater treatment systems. "But this may provide some guidance into how to design or assess protected areas," he said. In the near future Nidzieko plans to take this concept from the shallow estuary scale to the other extreme—the ocean basin scale.